"Well organized, entertaining & very educational!!! Absolutely terrific! "Loved the course. I learned more than I ever expected and now use my license in Fort Lauderdale taking people fishing and making a good living doing something I love! Marty Lalli - Marty & Lenny's"
"Captain Bill is one of the finest; A rare find! Gloucester, MA"
Nautical School's OUPV course waas not only remarkably comprehensive and thoroughly enjoyable. There is no better way to gain confidence in one's boating skills. Outstanding! Captain Steve is knowledgeable and personable - Got the teaching points across. Course was well presented - Good redundancy - videos/slides supported learning objectives. Captain Bill Rivera is an excellent teacher and turned a week of study into a very enjoyable experience. His years of experience on the water are evident as he related personal situations encountered while learning the necesary material to become a captain. Thank you for your patience, humor and knowledge. Captain Steve Jaworowski was great, personable, knowledgeable and very patient. Thank you! Both instructors were very knowledgeable and did a fantastic job teaching the material. The course was well laid out, covered evertyhing and more than I expected. I came away with 200% more knnowledge than I came in with - even after years on the water. The OUPV course and DVD was the BEST! Thanks Captain Bill. Captain Gary was passionate about course subject. Class was very pleasant to take. Very well outlined and designed to help you learn the Rules and not the questions and answers. Captain Bill was very helpful. Pounded, pounded and pounded the materail in us. Thank you! Both instructors were great. Both are very knowledgeable and great to work with. Captain Sam gave a great review and explained the concepts clearly. Office Staff: "So kind & Helpful, AND SHE SOUNDS HOT!. Location: Where Better, on the waterfront in one of the most famous ports in the world! I'm going to get everyone in my family to take it. "I appreciate your prompt attention to detail and must say you are terrific! All my dealings with you and the "boss" have been 1st class! Will see you again as other courses are offered. Keep smiling!! Captain Bob Thomas"
[re:Janine Snow, Enrollment & Administration Coordinator) A very qualified person who has unlimited potential and is quite a hottie to boot! Took the class in New Rochelle. "Capt. Steve bent over backwards to help assist me in my weak areas of learning and Capt. Bill was also extremely helpful"
Capt. Joseph C. DeEttore, Jr.
License Renewal Received in 1 week! "Captain Bill made learning the necessary material a genuine blast each and every day of the course. By his combining a rich and well proportioned mix of learning aids, structured info and jokes along with an excellent forum for questions to be answered, I walked away with a wealth of knowledge and a smile on my face"
Captain Bill made learning the necessary material a genuine blast each and every day of the course. By his combining a rich and well proportinoed mix of learning aids, structured info. and jokes along with an excellent forum for questions to be answered. I walked away with a wealth of knowledge and a smile on my face. Having completed the OUPV, towing, and masters course and successfully moving on to apply for my license, I felt compelled to write my experience at Nautical School. I am embarassed to admit I had my license and let it expire 6 years ago. 11 years ago I had the experience of applying for a license with the assistance of another (not to be named school). Captain Bill and His staff are second to none. The major difference is the teaching and actual concern to create a knowledgeable and responsible Captain. Safety has and will always be number one priority on the water. It begins at the top with a prudent Captain. I have been on the water for 36 years and appreciate good training. They take this training very seriously instilling practical knowledge with a balance of stories and humor. I truly feel like I joined a family instead of going to a money oriented, get your stamp and leave establishment. 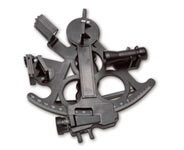 They do it all as a one stop shop and are highly regarded by the industry and Coast Guard. As you can tell I can not say enough and highly recommend you choose them as your first steps to a maritime education. I have nothing to gain from this posting except the hopes of others getting a quality education. Once again, thank you Captain Bill and your staff and I wish you all a speedy recovery from this natural disaster. God bless us all. I am running a 65� sea ray and a 68� sunseeker preadator. Having a blast with my license thanks to you guys. I just wanted to thank you for a great course and a painless application process. I was issued my 100 Ton near coastal license. I really believe the course was the best money I've spent in my pursuit of my license. Again, Thanks to you and Janine for everything. "I just received my license in the mail and I wanted to firstly say thank you very much for your efforts in my license training. Your course was awesome and you are a great instructor. You make it easy to get through the content and were very engaging"
"I wanted to let you guys know that I have received my 50GRT license, and I just passed the sailing endorsement exam. The exam tutor was very helpful for this. Thanks for all your help.\\\"